The brands autop & Stenhøj merged in 2016 to one common strong brand: AUTOPSTENHOJ. 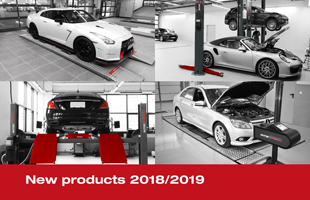 AUTOPSTENHOJ wants to be the market-leading manufacturer and your first choice for workshop equipment, supplying inground lifts and surface-mounted lifts, test equipment, etc. AUTOPSTENHOJ is part of the Danish STENHØJ GROUP, which has 100 years of experience in the field of workshop equipment. The STENHØJ GROUP is a family-owned company located in the village of Barrit in Denmark. The brand AUTOPSTENHOJ was launched in 2016, after a merger of the brands autop & STENHØJ. autop began in 1949 with a strong foundation for manufacturing hydraulic lifts, specializing particularly in the production of automotive workshop equipment. autop has been part of the Stenhøj Group since 1996 and is one of the market-leading manufacturers of hydraulic inground lifts. Stenhøj was founded in 1917, and is known worldwide in the field of workshop equipment, exporting surface-mounted lifts, compressors and hydraulic presses. Stenhøj is one of the market-leading worldwide manufacturers of surface-mounted lifts.